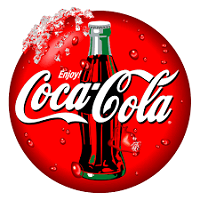 Coca-Cola Kwanza Limited of Dar Es Salaam, is part of the only anchor bottler in Africa, (Coca-Cola Sabco) in the Coca-Cola Company's global franchise system. As a multinational company dealing in fast moving consumer products, we strive to maintain world class standards in every aspect of our business. In addition, we are also committed to train and develop Tanzanian citizens and to this end we require the services of high calibre Tanzanians to provide a leading edge to our business in Tanzania. CCKL requires the services of a distribution driver, to be based in Dar es Salaam. The incumbent will directly report to the respective Distribution Coordinator. Transport all products to and fro the customers, daily deliveries reconciled with load manifest, cash banked daily at end of shift, deliver to allocated destinations product and/or goods as and when required, pre- and post trip inspections done and all deviations reported to workshop, ensuring the vehicle is maintained in clean and neat condition, both external and inside cab, ensures proper time-keeping of crew, ensures crew is always clean and neat with uniforms. Proper driving license, Form IV leaver with a minimum of 2 years of experience in driving HDV truck, Good eye-hand-foot coordination, good peripheral vision, ability to follow the scheduling system and procedures, knowledge of equipment cleaning standards and procedures of HDV truck, stress and time management skills. A good command of English language will be an added advantage. Dar es Salaam. or email: mhalla@tz.ccsabco.com by no later than 26. May, 2018.